It is a pleasure to announce that the South African MTM Association now have four (4) instructors qualified and available for MTM-Logistics™ training and consulting. The MTM Logistics™ course was introduce d and presented by *Prof. Dr. Peter Kuhlang, Head of MTM-Institute and MTM-Akademy, Deutsche MTM-Vereinigung during January 2016 in Pretoria. 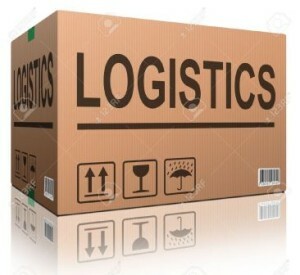 MTM Logistics™ is one of the best and easiest methods available for the recording, standardisation and optimisation of in-company logistic processes. It also supports the improvement capabilities of logistical work systems in value streams. MTM Logistics™ is a high-level MTM system that is derived from MTM-UAS and is designed specifically for the rapid analysis of manual motions in the Logistics Sector. It produces times which reflect a representative method for carrying out tasks, rather than the precise method analyses. The MTM-Logistics™ course trains the participant in the knowledge and skills for setting time standards that assists with the planning and optimisation of logistic processes. The training makes delegates familiar with specific logistic instruments and working methods to apply in the logistics work area, in relation with the MTM-methods for time management tasks. Significant reductions in the logistic activity costs (internal and external) of a company are possible through the optimisation of the methods for manual operation and handling. Improved methods through the application of the MTM-Logistic™ system are possible based on the correct times for the execution of tasks. Company specific Standards Tables can also be development and implemented. Regular updating of these tables is possible and can be done according to the recorded variations in the logistic process data that relate to the operations included in the logistic activities. The application of the MTM system has a long tradition and the modeling of logistic processes is not something new. 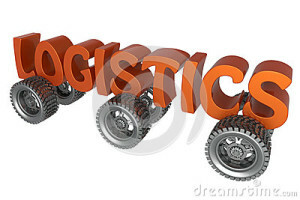 In recent years the importance and interest in the field of logistics has grown due to the increasing logistics costs. The increased costs are caused on the one hand by high technical, organisational and staffing requirements and on the other hand by insufficient accuracy in consideration to logistics processes. The application of MTM systems, specifically the MTM-Logistics™, can contribute significantly to the design and rationalisation of logistic processes, e.g. 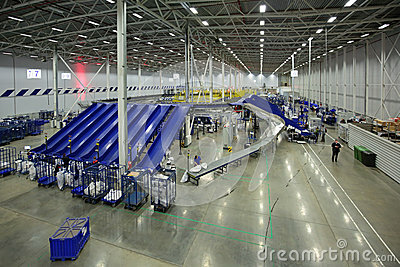 when planning and designing logistic processes, such as picking, packaging, information processing, or transporting. These activities, which may show different levels of complexity, are the process building blocks for Standard Operations Logistics. • Standard Operations are order related with partially high repetitiveness allowing the employee to establish routines. • Suitable working and transport means are available to the employee for the tasks. • Working systems are designed according to the spectrum of the tasks. These frame conditions characterise process type 2 (series/batch production). For this reason, the Standard Operations Logistics is modeled by using the MTM-UAS Basic Operations. In practical applications the process building blocks for transport (Standard Operations of Transport) and handling (Standard Operations of Handling) are of considerable relevance. The Standard Operations of Transport include all necessary building blocks for the evaluation of standard processes in commercially available and frequently used vehicles or transport carts. Here the frame conditions, such as different driving states, relevant safety regulations and different vehicle equipment were considered in the development. The Standard Operations of Transport include general building blocks, such as starting and stopping the engine, fastening a seat belt and specific building blocks related to various transport means. The Standard Operations of Handling are process building blocks for evaluating (manual) processes related to commercially available and frequently used transport units, including typical information or data processing activities. 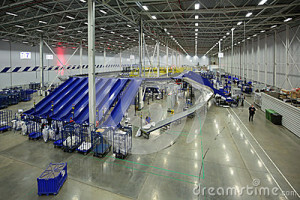 Standard Operations of Handling are developed for the activity groups of (a) handling, (b) opening packages, (c) closing packages and (d) processing information. The SAMTM Association now offers accredited MTM-Logistics™ training for members who are licensed MTM-UAS Practitioners. Please contact our office at samtm@global.co.za for more information. Prof. Dr. Peter Kuhlang was appointed the position of Executive Manager of the MTM Institute in 2014 and soon after also became Head of the MTM-Akadamy. He is not new to the MTM environment, after graduating in industrial and mechanical engineering in Vienna, he worked as a project engineer at Deutsche MTM-Gesellschaft mbH with a focus on industrial engineering, human factors, MTM introduction and teaching. After completing his doctorate, Kuhlang held various academic tasks at the Technical University of Vienna, Fraunhofer Austria and at the Technical University of Dortmund. In his habituation thesis in the field of industrial engineering on “Systematic design production and industrial value streams”, he dealt with the use of MTM in combination with value streams and basic time-management issues in the design of work systems. He integrated the Basic MTM training in the curriculum of Industrial Engineering and Mechanical Engineering at the Technical University of Vienna and has been involved in studies in the field of ergonomics and productivity. For many years he has also been involved in the national and international research funding landscape and publishes literature regularly. Peter is presently Technical Coordinator for the International MTM Directorate. The IMD (International MTM Directorate) within the MTM global network adopted the organizational measures for the future at its spring meeting in Istanbul on 17 May. Representatives from 14 nations unanimously elected an extended management committee. Dr. Hans Fischer, the former President of the German MTM Association, was confirmed in his office as President of the IMD. Vice-President Chester Dobrowski (US/Canada) received a vote of confidence from the delegates too. Following a change to the rules, the management committee was expanded to include a second Vice-President. Guillaume Lachevre, who represents the French MTM Association, was elected to this position. The Executive Director manages the operating business of the IMD. Gabriele Caragnano from the Italian MTM Association was elected to this position for the fifth time in succession. He has played a major role in the work of the IMD during the past decade. The position of Technical Coordinator on the IMD was revived. Different working groups handled these tasks in the past and Dr. Liesbeth Sackewitz, lecturer and academy head of the German MTM Association, played a part here. The strong development in terms of subject matter, e.g. with the EAWS (Ergonomic Assessment Work Sheet) tool, and international growth mean that greater specialist coordination is necessary. MTM is aiming to provide support, particularly to young associations on technical issues involving theory and application. The brand new Managing Director of the Institute of the German MTM Association, Prof. Dr. Peter Kuhlang, was willing to take on this role. Dr. Knut Kille, Managing Director of the German MTM Association, said that these people would also strengthen the role of the MTM Institute within the international network. He expressed his hope that all the new and re-elected officials would experience great success in handling the tasks that they face. The inclusion of Guillaume Lachevre and Peter Kuhlang on the committees is preparing the way for a generation change: Hans Fischer and Chester Dobrowski both announced that they were standing for office for the last time. Turkey was welcomed as a fully-fledged association during the IMD meeting; as a result, the IMD now has 15 members. Bulgaria was co-opted as a so-called chapter (a national association in the making) with the support of the Austria MTM Association. Three other countries have been active in the market place for several years and are about to be accepted as full associations: the Benelux countries (Belgium, Netherlands and Luxembourg), China and Portugal. France and Great Britain also have contacts with Malaysia and Singapore. The important issues discussed at the IMD included the international standardization and expansion of the training program and the idea of an IE Handbook in English. The next IMD conference will take place in Birmingham on 1 November 2014 in conjunction with the celebrations to mark the 50th anniversary of the British MTM Association. It is a pleasure to announce that we now have three local instructors available for MEK training. MTM-MEK, is designed for economical measurement of small lot or one-of-a-kind production, with long-cycle times, as well as other infrequently performed tasks previously considered too costly or difficult to measure. MEK is a synthetic system of measuring manual work based on MTM 1. It is referred to as a third generation and It was developed in the late 1970’s, by the member companies of the German & Swiss National MTM associations and by the Austrian MTM Group and an official International Methods Time Measurement Directorate system. It enables establishment of times for manual work, where the characteristics of small batch or one of a kind production volumes are met. Description of the method is identified in the technique although the detail reflects the lesser degree of importance to minor method variation, inherent in the organisation of such production volumes. It is therefore a tool which enables identification of method as well as the times required to perform the tasks. The technique is based on the predominant hand, as with UAS, rather than the 2 handed analyses which the MTM1 and MTM 2 systems employ. The system includes both Level 1 codes and also Level 2 codes which are data Blocks formed from the Level 1 codes. It produces times which reflect a representative method for carrying out tasks, rather than the precise method analyses of MTM1 or MTM 2. The principle of Activity sequences make this technique much faster to apply than 1st or 2nd generation systems and is faster still to apply than UAS. The system is designed to meet the characteristics of one of a kind or very small batch production. The choice as to which system to use must be made with consideration of the method level required and of the degree of accuracy required of the data produced by use of the system. It includes repetitive activities that make it especially suited to manufacturing work areas. It is a pleasure to announce that the South African MTM Association now have four instructors qualified and available for MTM-Logistics™ training and consulting.